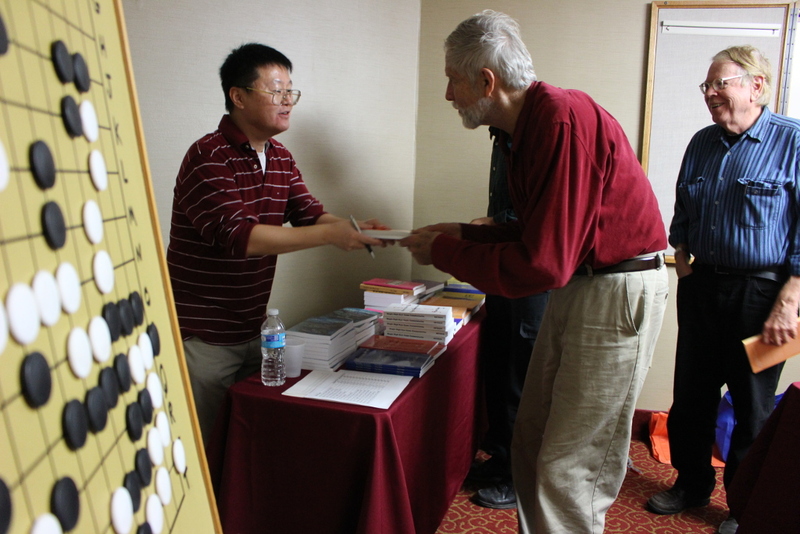 The Ninth North Carolina Workshop with Yuan Zhou was held December 11, 12 & 13, 2015, in Raleigh, North Carolina. Yuan Zhou 7d instructed, enlightened and entertained lucky members of the Triangle Go Group over a warm, sunny North Carolina weekend. In addition to extremely helpful reviews of participants' games, Lao Shi Zhou also introduced us to a new style of play called Team Play. Lao Shi Zhou is an authority on the famous Go player Go Seigen, and continues to write books about the man known as the strongest player of the 20th Century, in addition to an ever growing number of excellent books and study guides. In his lectures teacher Zhou illustrated guidelines for play with examples from the style of Go Seigen, Kabayashi Koichi, Cho Chikun, Lee Changho and others. This year, Lao Shi Zhou treated the attendees to an inspiring deep analysis of the recent (6/15) Chunlan Cup final game between Gu Li and Zhou Rui Yang. Lao Shi Zhou also reminded us of the philosophical elements of Go, and mentioned some of the underlying principles and basic elements. 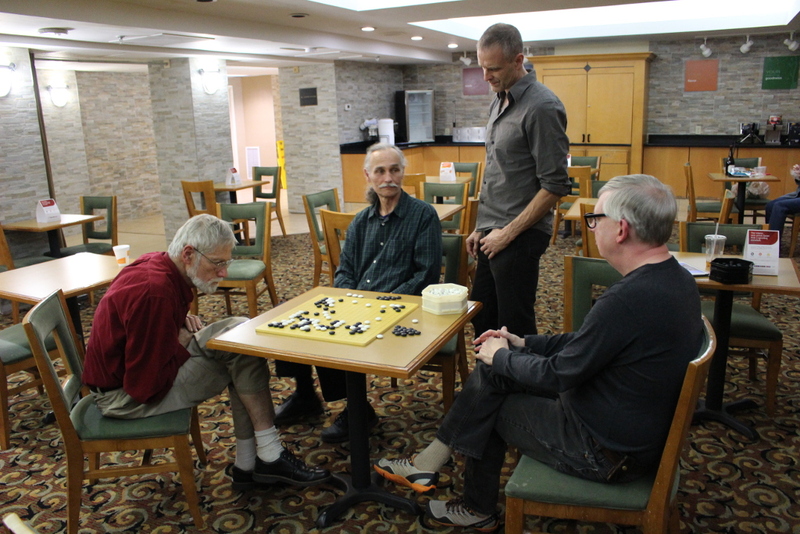 As an introduction to a review of a 9 stone handicap game, teacher Zhou encouraged our strong players to welcome high handicap games and to teach those who want to become stronger.